This lightweight high-performance shoe is technically unrivalled - providing the world's best players the ultimate performance on the court. 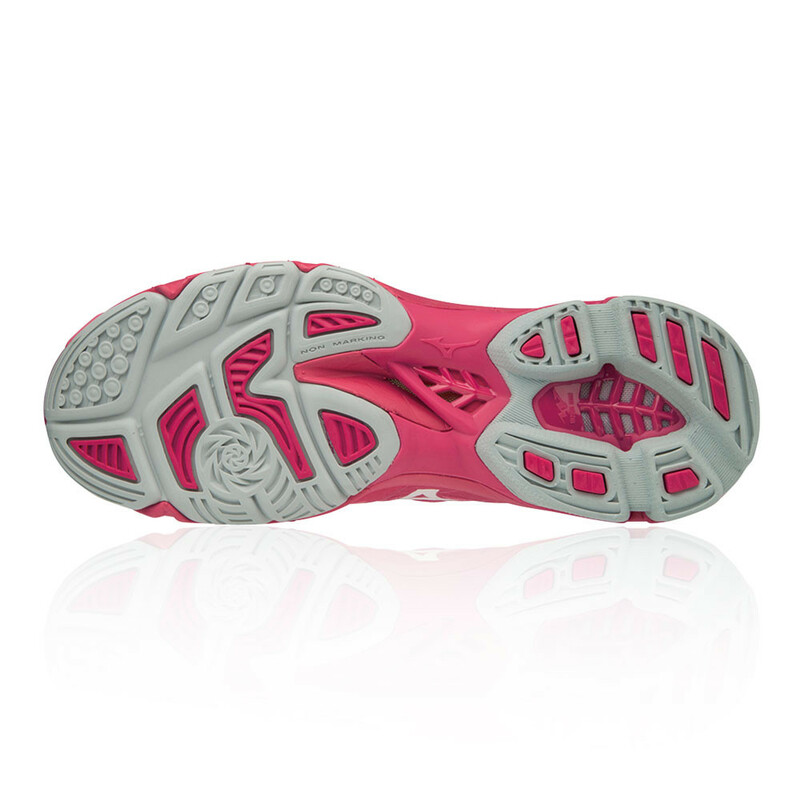 The dynamic-cushioned, 360 no-sew design combines the perfect fit with a balanced and stable feel. The DynamotionFit upper and D-Flex groove allow for quick transfer of weight and electric acceleration on the court. "Fabulous netball trainers for centre court players. Lightweight comfortable shoe. Sole allows you to stop/change direction quickly. On our 2nd pair of Mizuno trainers now. Will definitely purchase this brand again. Unrivalled on court." 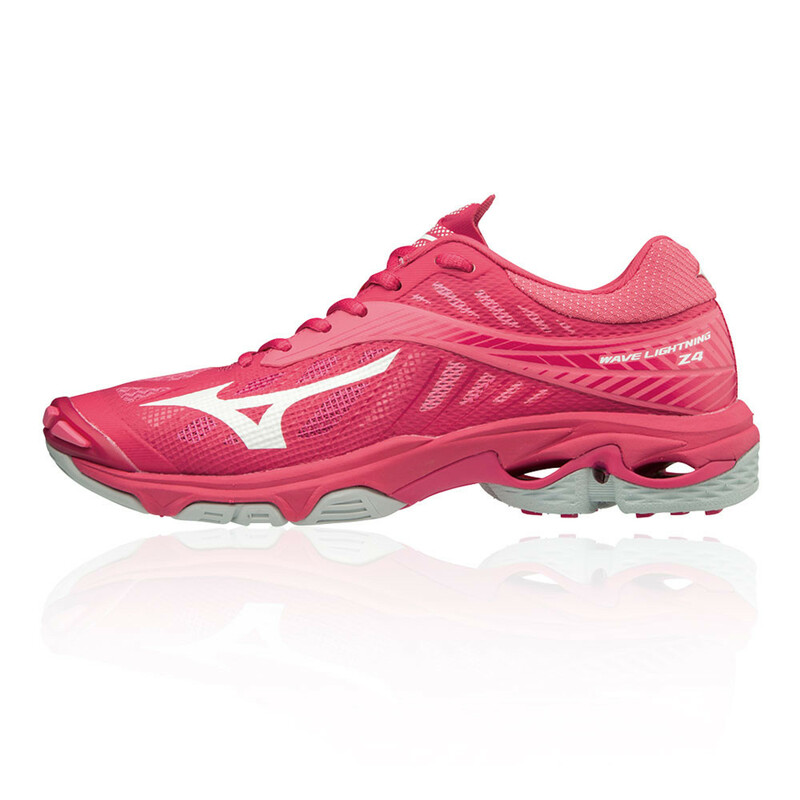 Constructed using Mizuno's AIRmesh technology, the Wave Lightning Z4 provides exceptional breathability ensuring your feet remain cool, dry and comfortable; allowing cold air to flow into the show whilst hot air escapes. Perfectly engineered 360 seamless upper follows the anatomy of your foot allowing for optimum comfort and reduces the risk of irritability or chafing. Additionally, the DynamotionFit system that is added uses highly advanced motion capture and biomechanics technology. Mizuno has developed a design blueprint to engineer shoes that work with your foot throughout the gait cycle. Mizuno Wave is a unique technology that provides both cushioning and stability and can be engineered for all types of runners. The cushioning and comfort provides your feet with protection for landing, responsiveness and shock absorption while remaining lightweight. Furthermore, another exceedingly lightweight material used in the midsole is known as PoWnCe which offers excellent comfort and resilience properties. This combined with sr touch technology allows for a more enhanced run through its ability to absorb shock and provide smooth traction due to its quick rebound properties. A high-grade removable insock is also included in this shoe's midsole to offer extra cushioning and comfort whilst allowing your feet to feel secure. Specifically engineered diagonal grooves known as D-Flex Grooves have been built into the midfoot area of the shoe to allow the player to turn at maximum speed and power by efficiently transferring natural body movement and change in direction. Today, Mizuno is a global corporation which makes a wide variety of sports equipment and sportswear, for golf, tennis, baseball, volleyball, football, running, rugby, skiing, cycling, judo, table tennis, badminton, boxing, and athletics. 360 Seamless - Increased comfort and reduces the risk of irritability. DynamotionFit - Delivers greater gait efficiency.